We were quite impressed handling what was known just as the Toshiba Tablet at the CES show way back in January. 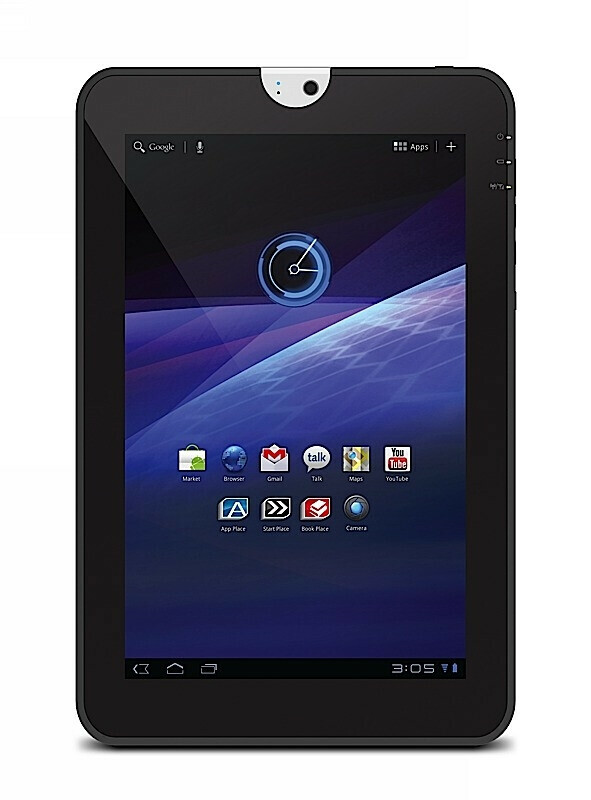 Even though the prototype was still running Froyo at the time, Toshiba managed to differentiate it from the rest in the Android tablet pack, and now it let it out officially, naming it the Toshiba Thrive. 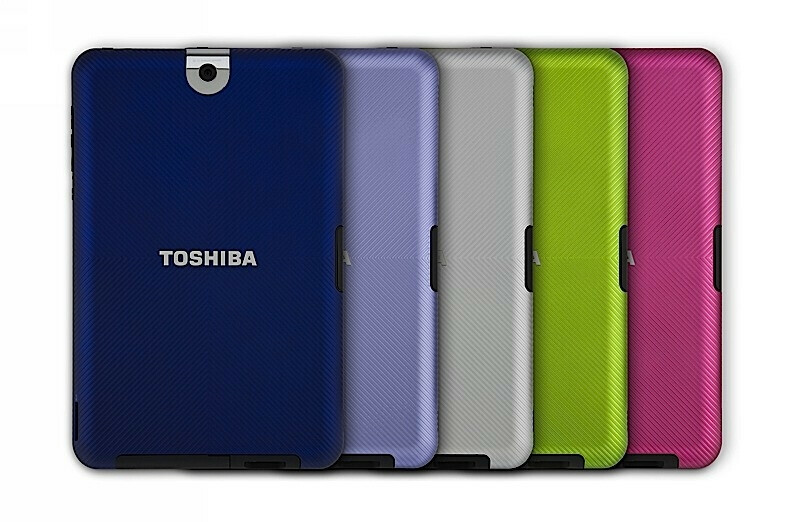 Apart from the usual goodies for a nice Android slate, like a 10.1" display with 1280x800 pixels, Android 3.1 Honeycomb, a 1GHz dual-core Tegra 2 chipset, 5MP rear camera and 2MP front one, the Toshiba Thrive sports an unorthodox ports collection. 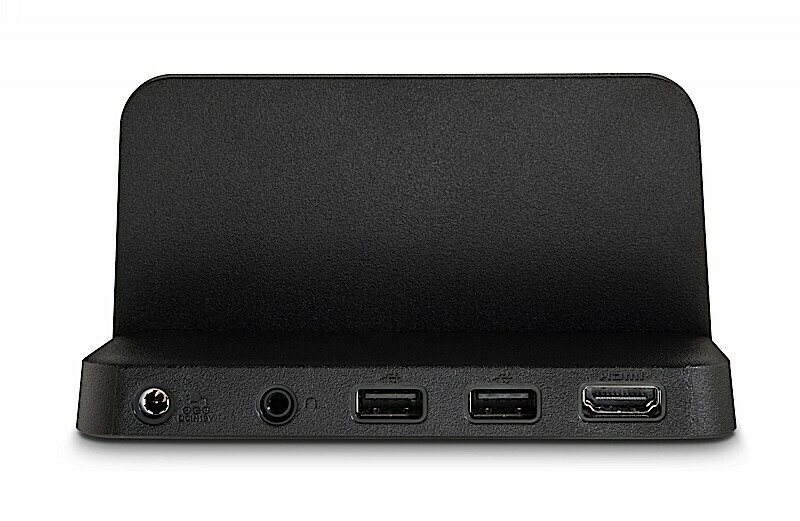 It sports a miniUSB port for hooking up peripherals like your video camera, an HDMI-out port, a dock connector, and, get this - a full-size USB 2.0 port, which with the recent update of Honeycomb to 3.1, is supported by Android. Not too shabby of a collection to stand out, but Toshiba didn't stop. It provided the back cover with the so-called Easy Grip rubberized finish, and made the covers swappable with others in a different color, for when you get bored of the looks. 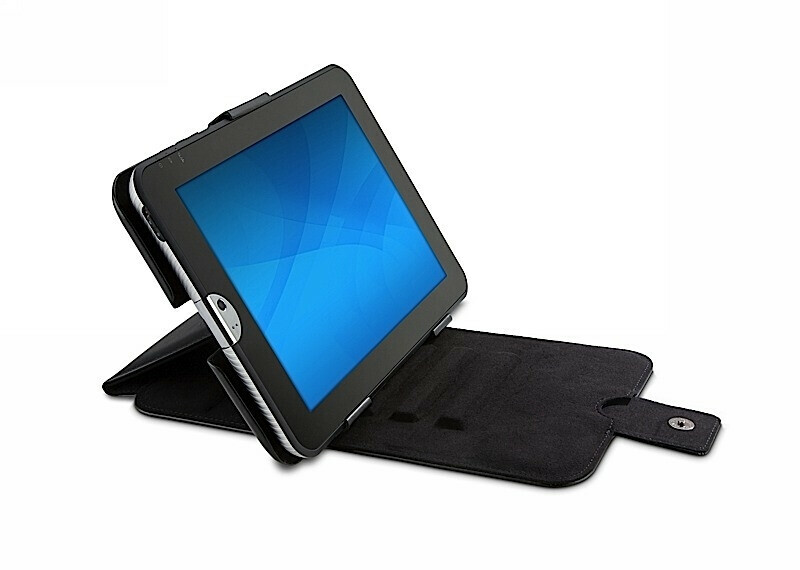 Removable back cover also means that you can take out the battery and swap it with another one, something that can't be officially done on any other major tablet. 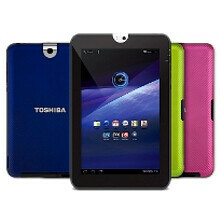 These additions mean that the Toshiba Thrive is not as thin and light as the Galaxy Tab 10.1, or the iPad 2, for example, but at 10.70x6.90x0.60" (272x175x15 mm) and 27.20 oz (771 g) of weight it's not overly obese either. Toshiba says that the battery will last 7 hours of HD video playback and will recharge to 80% for 1.5 hours. 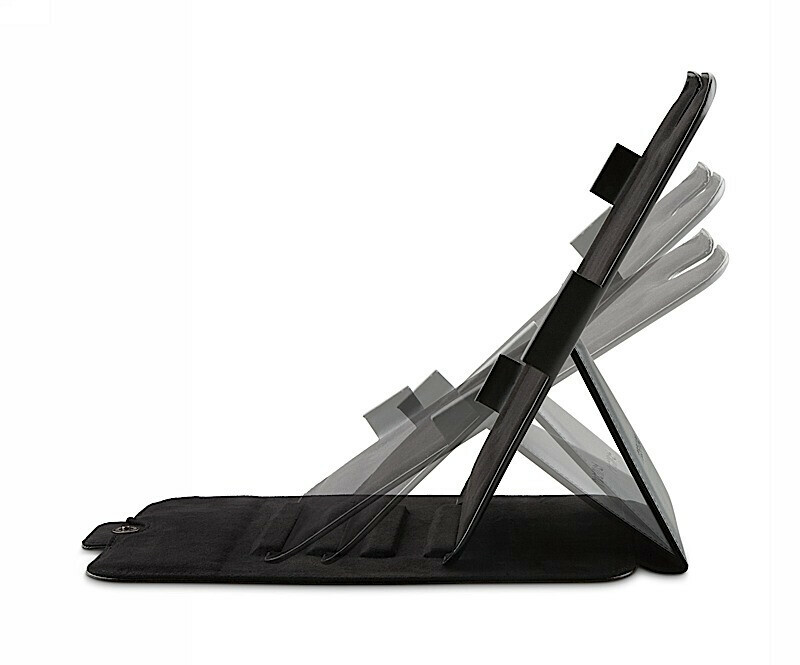 On the sides you'll have a separate button to lock the screen orientation, for when you are annoyed of your tablet switching modes from the slightest twist of the hand, which happens pretty often. In the 16:10 widescreen format,Toshiba has planted some of its Resolution + image enhancement technology for when you are watching movies, the same one from its flat screen TVs. Stereo speakers with SRS technology are also onboard. A few accessories round up the Toshiba Thrive offering - a case that doubles as a stand, and a dock with two additional USB ports, plus HDMI. The Toshiba Thrive will be starting at $429, but for an 8GB Wi-Fi version, then comes the 16 gigger for $479, and the heavyweight 32GB version will run you a cool $579, plus they all have an SD card slot, should you wish to add more storage. Toshiba's first foray in the world of Android will be available in mid-July from major retailers like Best Buy, Staples, OfficeMax, Office Depot, RadioShack, and Amazon. 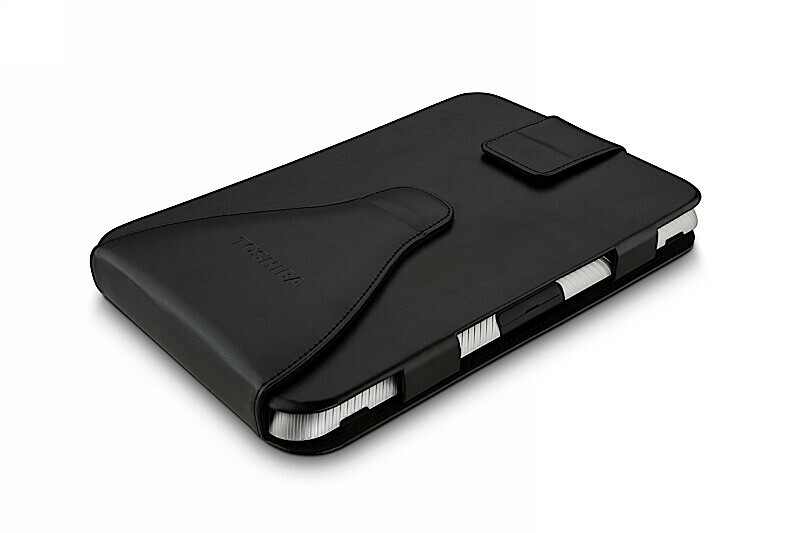 Are you game for the Toshiba Thrive, or would you rather have a thinner slate? Man, I really hope the accessories will match the other colors as well. The thinner tablets do have a slight edge, but toshiba beat them with all of the ports and SD card slot. What Toshiba missed was price point. Lower the price by at least $50 for each model. I really want a reason to buy a tablet but so far no one is pricing tablets to allow a reason to develop, for me. Join us athttp://ThriveForums.com the Premier Toshiba Thrive forum on the web. I would like a tablet with cellular connectivity. I rarely have access to wifi. I have an iPad 3G. I love it, but I sure wished it had ports!